Hi friends! I hope you're having a great weekend! Things are still a little spotty around here. The kids are still sick and very cranky BUT we are getting better so that's always good. 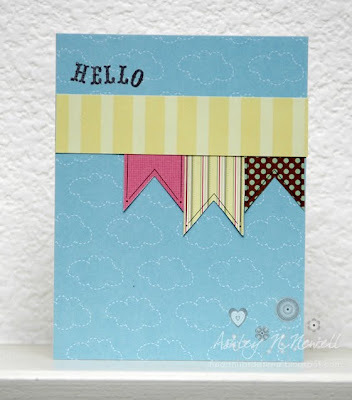 I just wanted to pop in real quick and share one of the cards I have on the Showcase on You over at the Nikki Sivils blog today (Saturday.) I've shown the three other cards that are featured over there today already. This is really fun paper to work with! What a cool layout! I love this, Ashley!